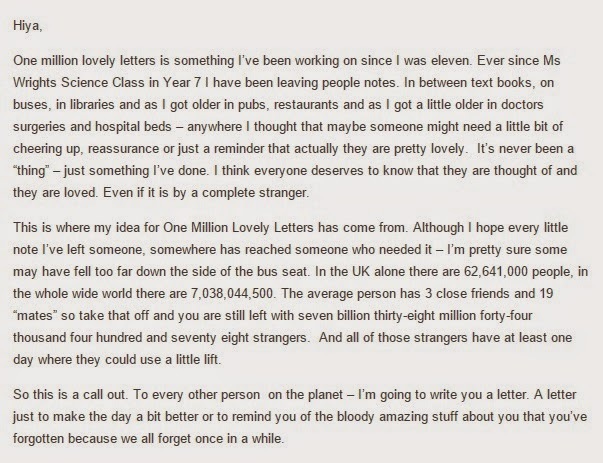 One Million Lovely Letters - Because We Should All Be Making A Difference. Every so often I come across something that grabs my attention and I have to write about it. Admittedly it is usually something to rant about and someone that has made me mad, but tonight it's about something so beautiful it made my eyes leak. I know that sometimes the whole issue of body image can be tiring. With so many issues surrounding us and so much that tries to bring us down, it can be exhausting. However, I also know that for many, many people there are others battles which can make life tough too! 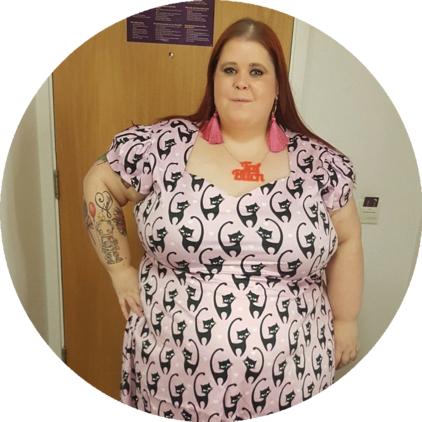 It is easy for me to write about how you should love yourself and what you can do to make loving your body easy but today I discovered a young lady that actually does something to help people. Not with body image issues as such, but just a boost for those who need it, how amazing is that? I watched Surprise Surprise today and came across a lovely lady called Jodie Ann Bickley who actually makes an effort to make a difference to peoples lives with her One Million Lovely Letters project. 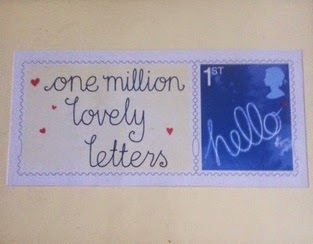 It's inspirational to me that someone would take time out of their day to make someone else's life a little better and the One Million Lovely Letters project is nothing less than beautiful! She writes letters back to anyone who has written to her feeling a little down or hopeless and so far has written thousands of letters to people all over the world - how outstanding is that? I love that there are people out there who want to actively make a difference in peoples lives and there are no words to describe how inspirational I think Jodie is.